Remove the bellying/bowing of your acoustic guitar with this easily installed device! 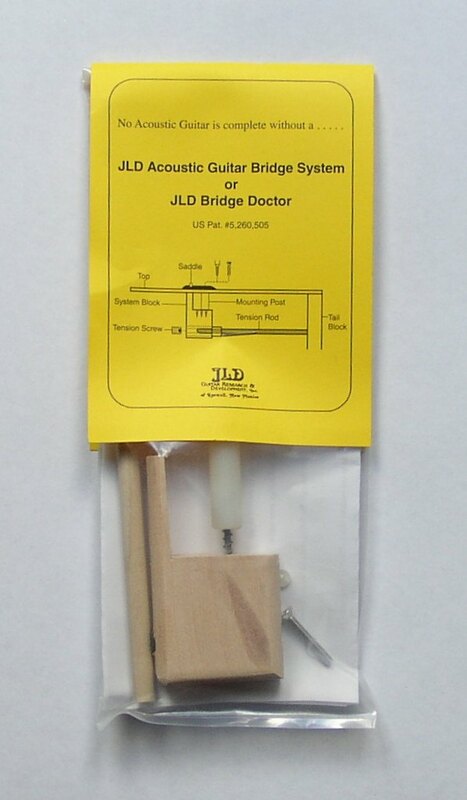 The JLD Bridge Doctor – this unique device is the solution to one of the most common problems with acoustic guitars; bowing of the soundboard. A mounting block is fitted under the bridge via a screw. 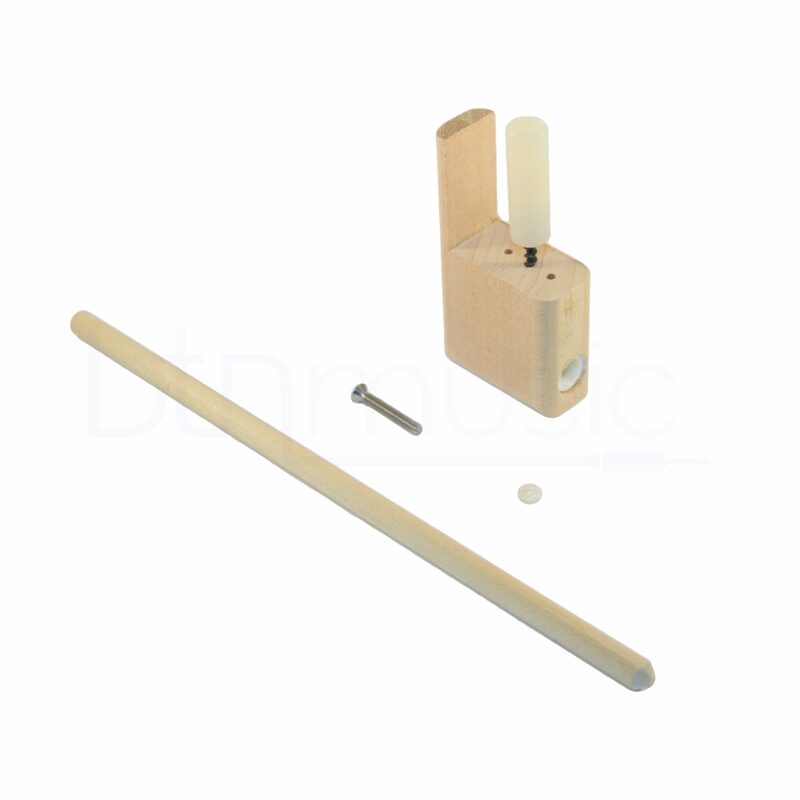 A tension rod is then installed between the mounting block and the tail-block of the guitar. A grub screw inside the mounting block is then tightened against the tension rod. This added tension applied from the JLD Bridge Doctor to the bridge counteracts the pull of the strings and the warpage of the top. 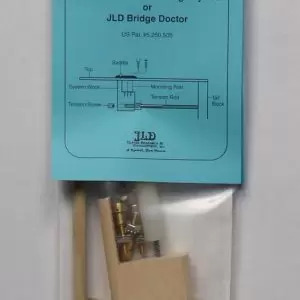 The JLD Bridge Doctor Screw Mount version requires a hole to be drilled through the bridge. This is then covered with an inlay. 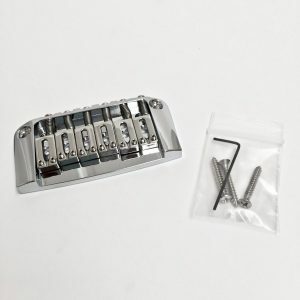 Installing a JLD Bridge Doctor will change the sound of your guitar, primarily because you are attaching something to the underside of the sound-board. 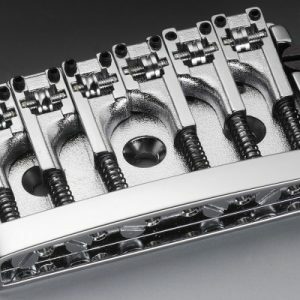 The Bridge Doctor affords extra rigidity to the guitar bridge which tends to increase sustain, volume and enhance harmonics. 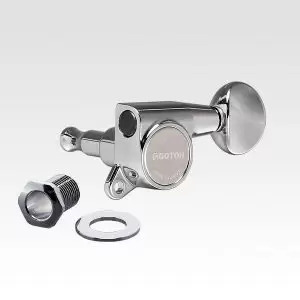 This does however impact the vibration characteristics of the sound-board. The overall effect will differ dependent upon various factors such as the shape and size of the guitar in question and the woods used in its construction. Don’t be tempted to over-tighten the Bridge Doctor. Be patient. The wood will take time to settle down and flatten. 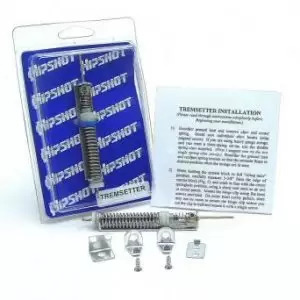 You will also need an imperial allen key for adjusting the tension which is not included.